The blues and greens of the sea look magical in the nursery when mixed with gold. 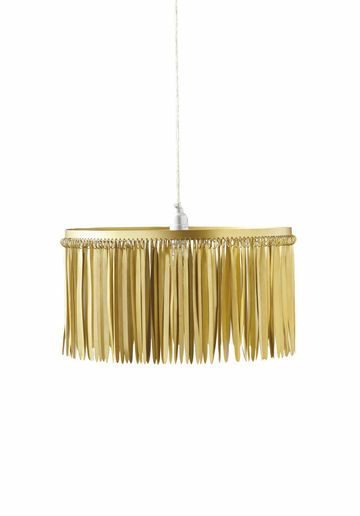 This Feathered Gold Drum Pendant makes a statement even when the bulb is off. $100. 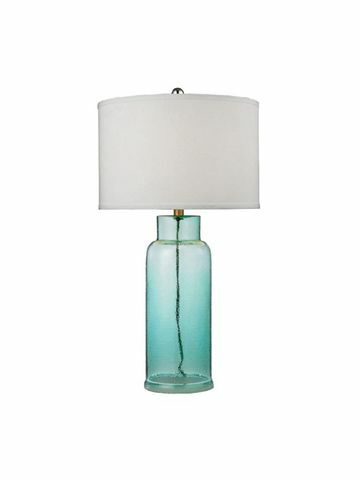 Use this tall Seawave Table Lamp to light a corner. $150. 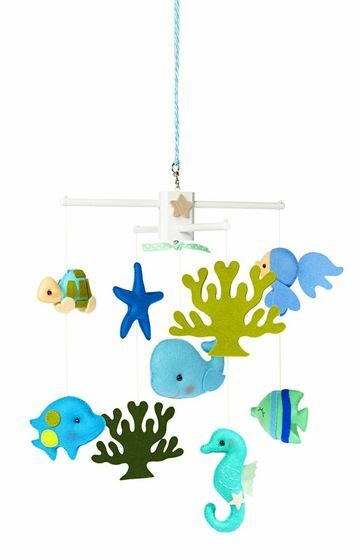 Each Oceanography mobile is made by hand. $185. 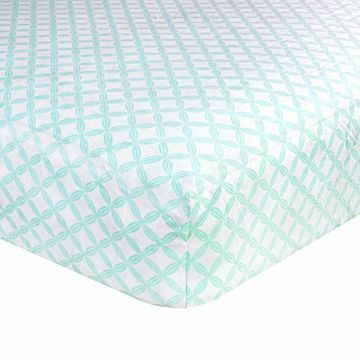 Just Born’s Classic Collection Hampton Crib Sheet has a coastal vibe. $18. 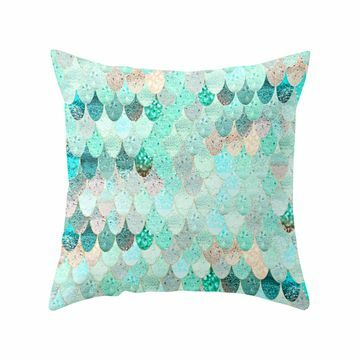 Create a splash of shimmer with a Summer Mermaid throw pillow. $27. 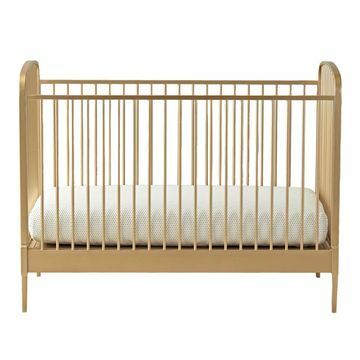 The rich-looking Larkin Gold Crib converts to a tot bed later. $600. 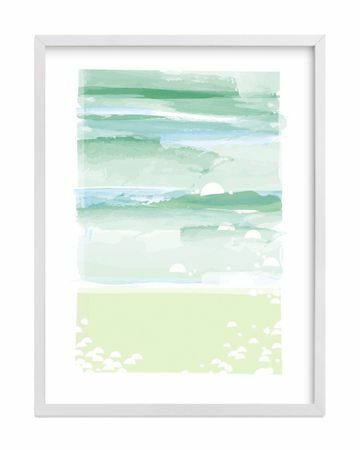 Add a frame to this Out to Sea print. $31 for 5"x7" including frame.